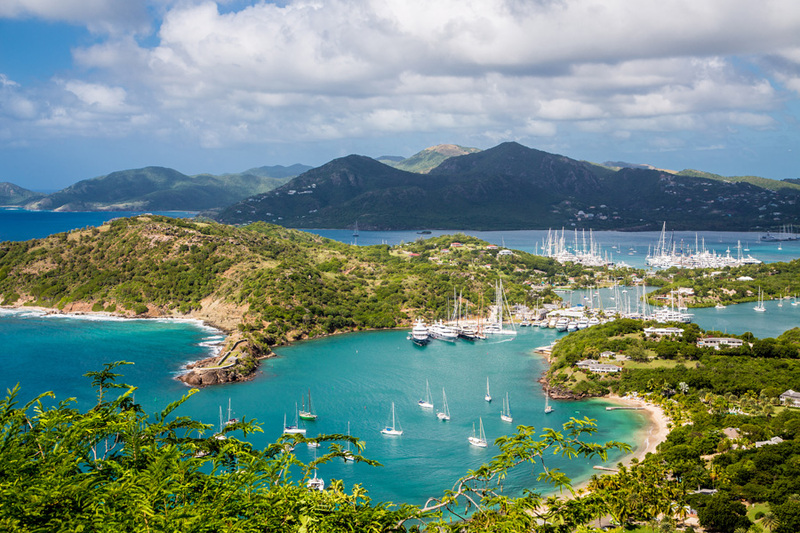 Tropical rainforests, barrier reefs, secluded anchorages: In the Windward Islands, you’ll get a taste of all that the Caribbean has to offer, and plenty of fine trade-wind sailing to boot. For sailors, there are multiple choices for your Windward Islands adventures, and from any of them, you can choose to make your sailing vacation as laid-back or as challenging as you’d like. The Leeward Islands are full of cruising hot spots, with much to offer to sailors, making passing through the Caribbean. lush scenery, vibrant reefs and a laid-back vibe make for the ultimate sailing destination. The islands of the Bahamas are a cruiser’s playground — clear water, colorful communities and great sailing. The Bahamas offer endless islands to sail between and explore; from the Abacos to the Exumas, each island is unique. The Lesser Antilles, in the Eastern Caribbean, are among the best charter destinations on the planet. Why? Diversity and conditions. The winds, seas and harbors in the Lesser Antilles are nearly ideal 99 percent of the time, and landfalls are perfectly spaced. In many of the most popular chartering waters, destinations are 30 to 40 miles apart — or less. This means you can get up at a reasonable hour, have a thrilling sail, and still manage to clear customs by happy hour. Long off-limits to American cruisers, sailors are now flocking to one of the hottest new Caribbean destinations. With rallies, races and other trips in abundance, the opportunities to explore Cuba abound. Those with a mast height under 64 feet can also take advantage of the beauty and convenience of the Intracoastal Waterway on their trip north or south through the East Coast. While navigating the ICW requires lots of motoring, when conditions are good, the sailing is spectacular. Cruising through Long Island Sound, anchoring in the Great Salt Pond of Block Island, exploring the coast of Cape Cod – there are endless opportunities to enjoy a romp through Southern New England. Some of the best freshwater cruising in the world, the Great Lakes offer endless opportunities for exploration. Each lake offers unique cruising grounds, ports and conditions, from uncharted rocky inlets on the Canadian shores, to bustling cities. For as long as ocean-going sailors have been sailing the North Atlantic, Bermuda has been the crossroads and one of the most popular destinations for racers and cruisers alike. Opportunities to sail to Bermuda in a group abound, with races and rallies year round heading south to mid-Atlantic. In 2017, Bermuda will host the America’s Cup, giving just one more reason to add Bermuda to your must-see list. Packed with geologic and cultural history, the beautifully quiet coast of Nova Scotia is a nature lovers dream. Spruce trees, granite, grasses, sea, seals and terns, there is no shortage of excitement here. The sailing can be challenging, but the landfalls — full of history, diverse towns and tasty cuisine — are worth it. Greece boasts thousands of islands, spread across an enormous geographical area stretching from the Aegean to the Ionian sea. Four of Greece’s five island groups are prime cruising areas: the Cyclades, the Saronic Islands, the Ionian Islands and the Dodecanese. Each group has its own unique character and charm, making each one worth exploring. Cruising yachts from all over the world come to Fiji to anchor in the crystal-clear waters of the South Pacific. This Pacific crossroads is a refreshing break, with world-class snorkeling, beach combing and hiking. Smack dab in the middle of the South Pacific, the remote and untamed Marquesas are an unforgettable sailing stop – if you can get there. The topography of these young islands ­reflects the dawn of time; the exquisite drama of the islands’ violent, volcanic origins has not yet been smoothed and worn, with towering peaks rising above anchorages. Tasmania offers world class cruising, friendly, welcoming people, and a rich sailing history. The beautiful anchorages are uncrowded and private, and the sailing is world class. Just ask anyone who has ever sailed a Sydney Hobart Race. Pristine white sand beaches begging for footprints; the Great Barrier Reef Marine Park just waiting to be snorkeled; and our charter catamaran tugging on her mooring lines, ready to set sail. Who could resist such a tempting welcome from the Whitsunday Islands? Not us. Towering rock sculptures rise out of the water in Thailand’s Phang Nga Bay, providing a surreal backdrop for cruising. Anchor among the hongs and hope into a dinghy for an unforgettable experience exploring hidden caves and uncovering secrets from the 10,000 year history of the bay. From the blustery southeaster that can blow 45-60 knots for days on end, the “table cloth” on Table Mountain, to the waterfront with all its great seafaring tales and bars and the beaches of the suburb of Clifton, Cape Town has it all. The weather is like Southern California; you can stay active in the great outdoors year round. Madagascar is a true cruising gem. Its culture is a delightful convergence of Europe, Africa and the Middle East, as evidenced by the gourmet French meals, baked goods, mélange of rum drinks, vibrant materials for both traditional and modern dress, and the combination of French and local Malagasy language. The Cape Horn archipelago conjures images of heroic voyages through inhospitable landscapes and harsh, raw conditions, the true beauty Chile is that it’s remote enough to be pristine, but not isolated enough that you feel completely cut off from the rest of the world. Cold, unforgiving and a challenge for even the most seasoned sailor, there isn’t quite any place on earth like Antarctica. Just ask anyone who has been, though, and you’ll find that the journey to the bottom of the world was unforgettable. This article was originally posted on CrusingWorld.com.